Lorna Square is a highly-visible, six building campus with several small suites available. It is less than a mile from Highway 31, a mile from I-65, and only 2 miles from Riverchase Galleria and I-459. This complex has ample free parking, some building signage available, and also no Birmingham occupational Tax. The New South Center consists of two full service office buildings with ample free parking, and also no Birmingham occupational tax. The highly visible location is directly off of I-20, 3 miles from I-459, 4 miles from the airport, and only 6 miles from downtown. Lorna Professional is highly visible and easily accessible with a light controlled intersection. This Class A office building is convenient to all areas of metro Birmingham via Highway 31, I-65, and I-459, and it has ample free parking. It is a full service building, and there is also Birmingham occupational tax. Crestbrook Plaza is in the heart of Mountain Brook on Montclair Road. 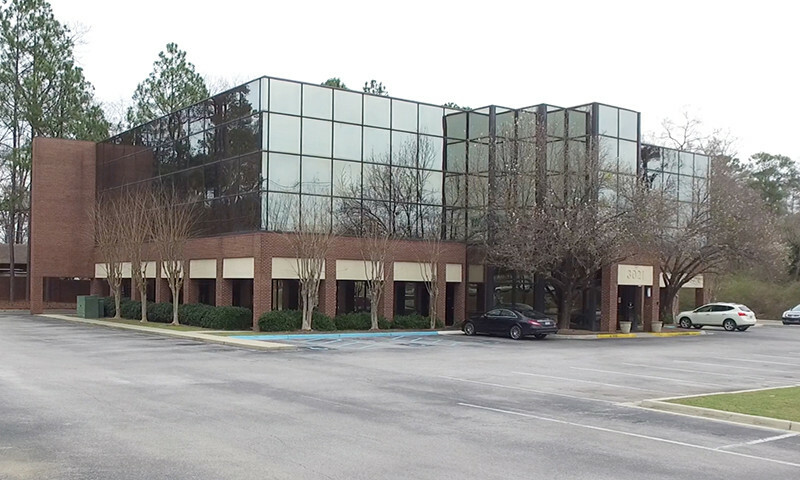 The office building is less than a mile from Crestline Village, 3 miles from downtown, and 4 miles from I-20. It features both indoor and outdoor entrances, ample free parking, and is conveniently adjacent to the post office. There is no Birmingham occupational tax.